Wow! This is a beautiful home! Shows as if the home was brand new. You will feel the love as you enter the home. Two story entrance with winding staircase! Large great-room offers double sided fireplace. Nine foot ceilings, recessed lighting, & crown molding throughout home. Formal dining room could easily accommodate large dining set! The spacious kitchen offers abundance of maple cabinet. Granite counter tops, subway tile back-splash, ceramic plank floor tiles complements this lovely kitchen. Large open breakfast area over looks rear patio and backyard. 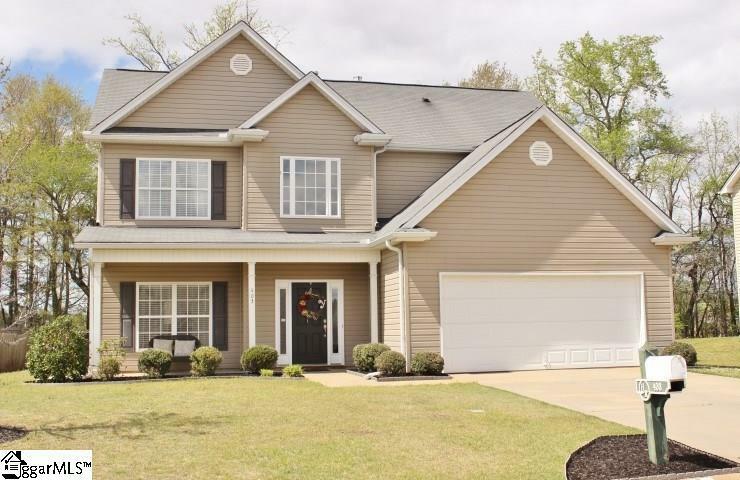 Upper level of home offers 4 large bedrooms, walk-in laundry room, & two full bathrooms. Master bedroom is very large in size, trey ceiling, tall windows to allow the sunshine to beam in! Master suite features soaking tub, separate shower, water closet, double vanity, ceramics plank tile flooring, and room to move about. Yard with mature trees add privacy... perfect size to enjoy. Double garage with storage. Neighborhood amenities include: pool, clubhouse, pond, social area, and more.